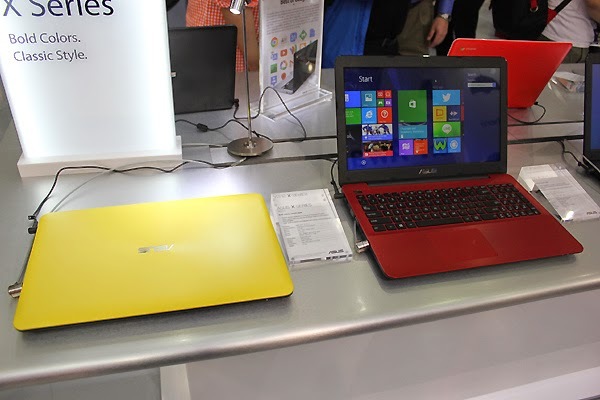 Asus will be shipping a "mainstream" series-laptop, the X555 at the end of June. They will be shipping it with different bright colors with different configurations, 15.6-Inch and 14-Inch versions with HD (720) screens only. 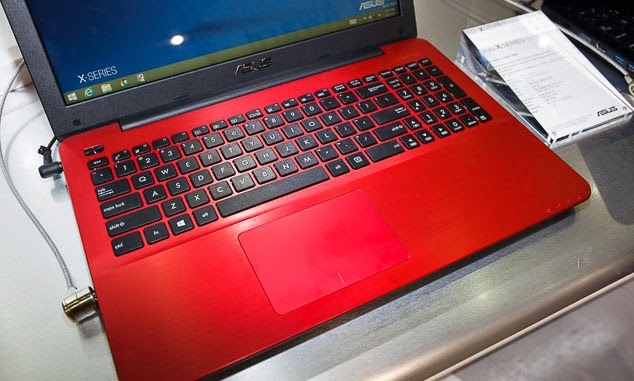 Powered by either Intel Core i3, i5 or i7 Haswell and Broadwell processors when it's launched by Intel. And dedicated graphics card nVidia GeForce GT 820M or GT 840M which are technically good enough to be considered as a "multimedia" laptop. These laptops will include 8GB RAM, 320 GB to 1 TB hard drives, 2 USB 3.0 ports, USB 2.0, VGA, HDMI out, audio jack, SD card reader, RJ-45 ethernet port, a DVD SuperMulti Drive. Measures 382 x 256 x 26 mm with a weight of 2.3 kg. Obviously, the styling looks like the N550 "Multimedia" series, but with a less powerful graphics card (GT vs GTX) so it should be priced lower.